If you’ve previously played Legends of Troy by High 5 Games then you may well be pleased to learn that there’s a sequel in the heroic shape of Achilles Glory, an online slot which offers Scatter Bucks and Free Spins to its intrepid players. 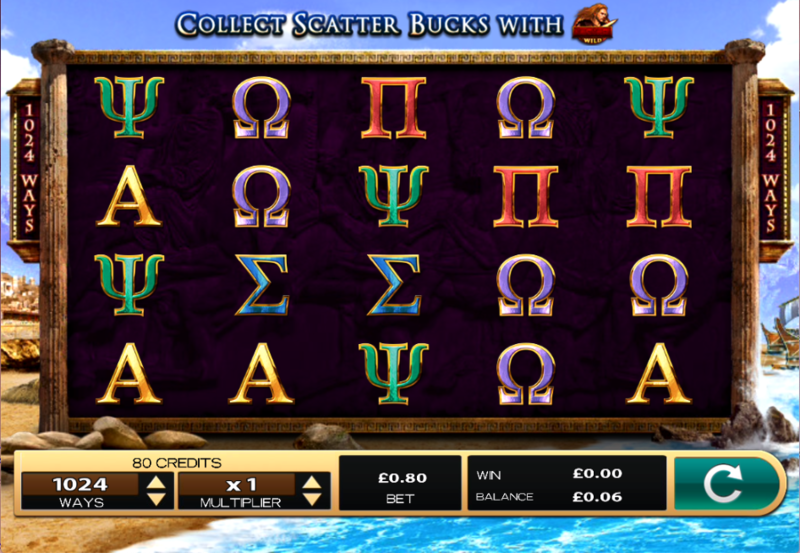 Legends of Troy: Achilles Glory is a five reel slot with four rows and 1024 ways to win; the symbols spin within stone columns which stand on a beach – invading ships to the right and the city of Troy to the left. The high value symbols here include Achilles’ helmet, his sword and shield and a warship; five letters from the Greek alphabet represent the lower values. Achilles himself is wild, he appears only on reels two, three and four and he will substitute for all other standard symbols to help form winning combinations. There’s also a bonus symbol which is the key to the main feature. 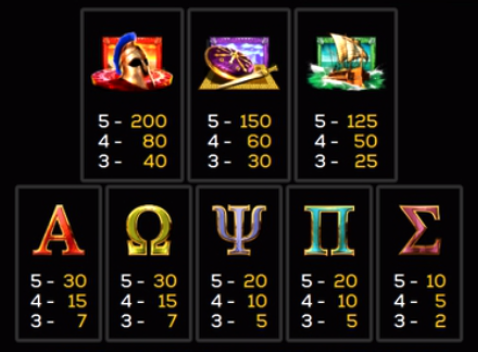 As well as being wild Achilles is also a scatter symbol appearing with a credit value on each one worth between 80 and 4000 credits; these amounts will be credited to the player when they appear. This is triggered by landing three, four or five of the bonus symbols anywhere in view for which you will receive 7, 15 or 30 free spins respectively. The wild symbol appears on reels two, three, four or five during this round (which can be retriggered) which means that the Scatter Bucks winnings should be enhanced a little. Legends of Troy: Achilles Glory is a decent addition to this series of slots – it’s a little bit bigger and better but it retains the sense of Greek myth and history from the first game. Give it a go, the Scatter Bucks are one of our favourite features.